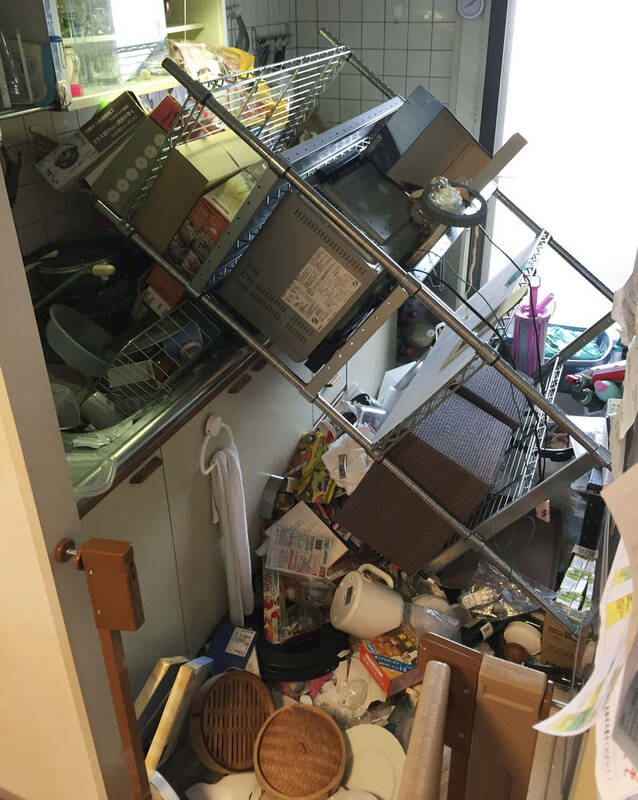 TOKYO — Residents in western Japan were cleaning up debris Monday after a powerful earthquake hit the area around Osaka, the country’s second-largest city of commerce, killing four people and injuring hundreds while knocking over walls and setting off fires. 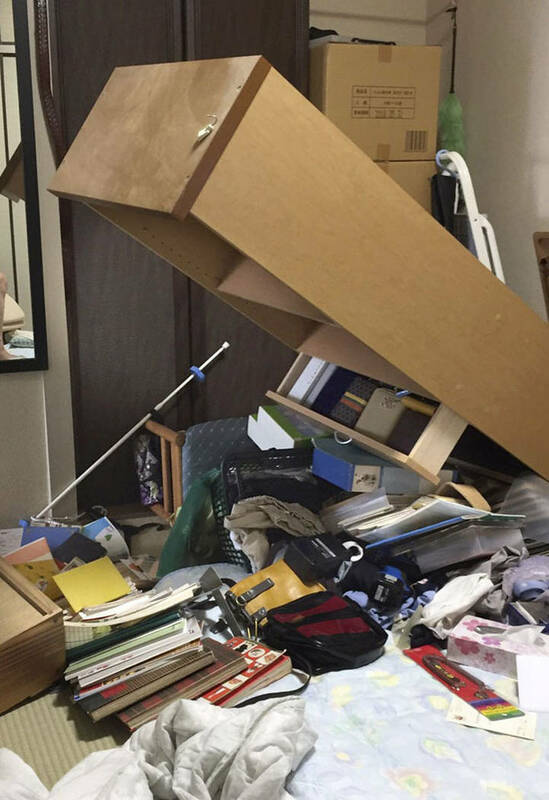 The magnitude 6.1 earthquake that struck the area early Monday damaged buildings and left many homes without water or gas. 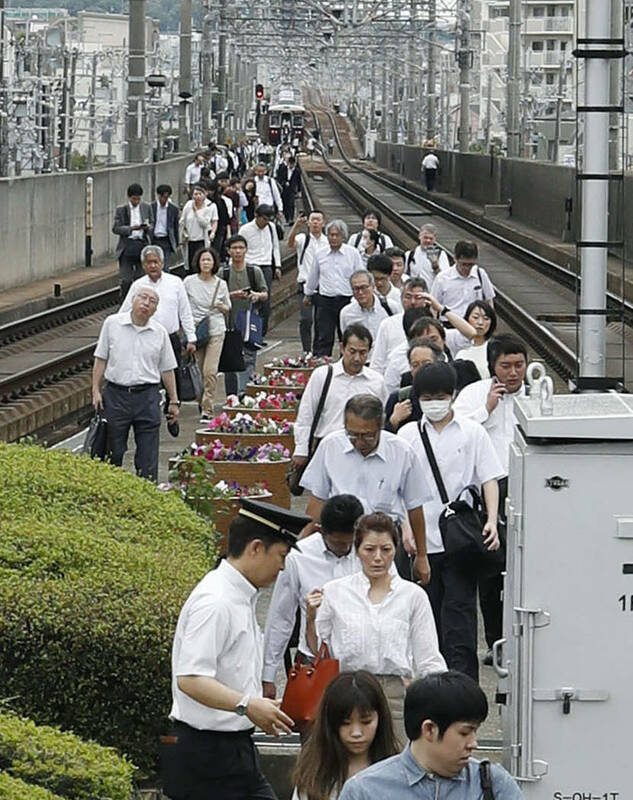 The quake also grounded flights in and out of Osaka, and paralyzed traffic and commuter trains most of the day. 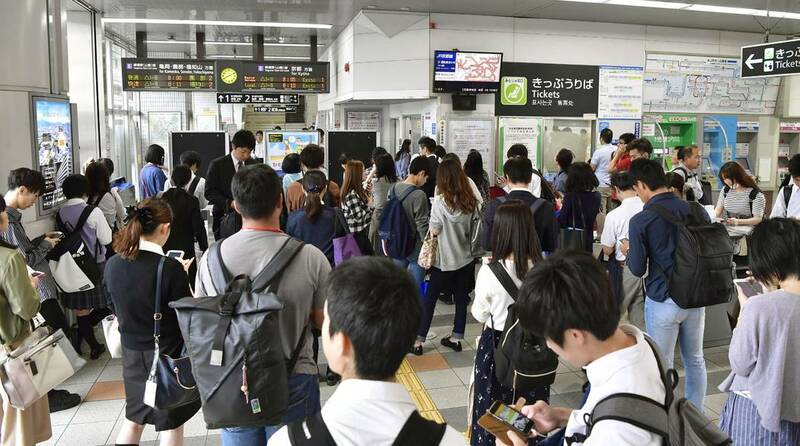 By the evening, bullet trains and some local trains had resumed operation, with stations swollen with commuters trying to get home, many of them waiting in long lines. 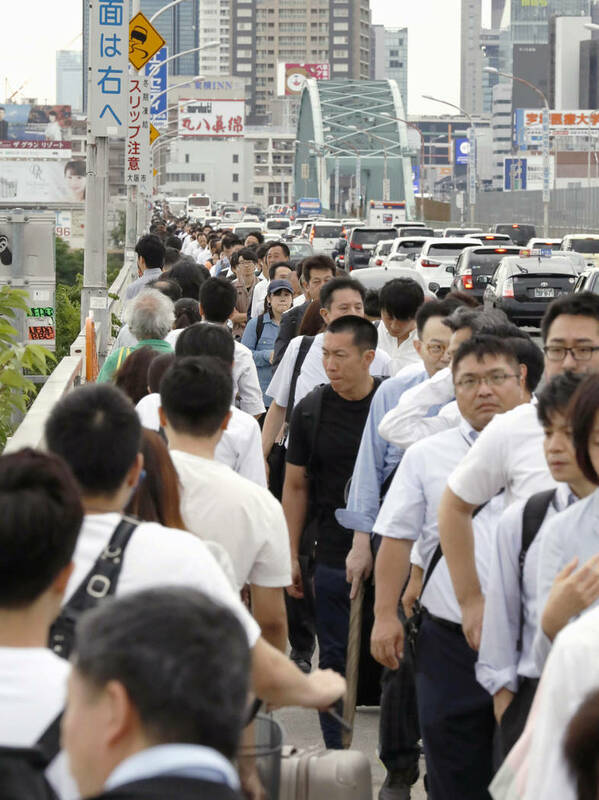 An exodus of commuters who chose to walk home filled sidewalks and bridges. 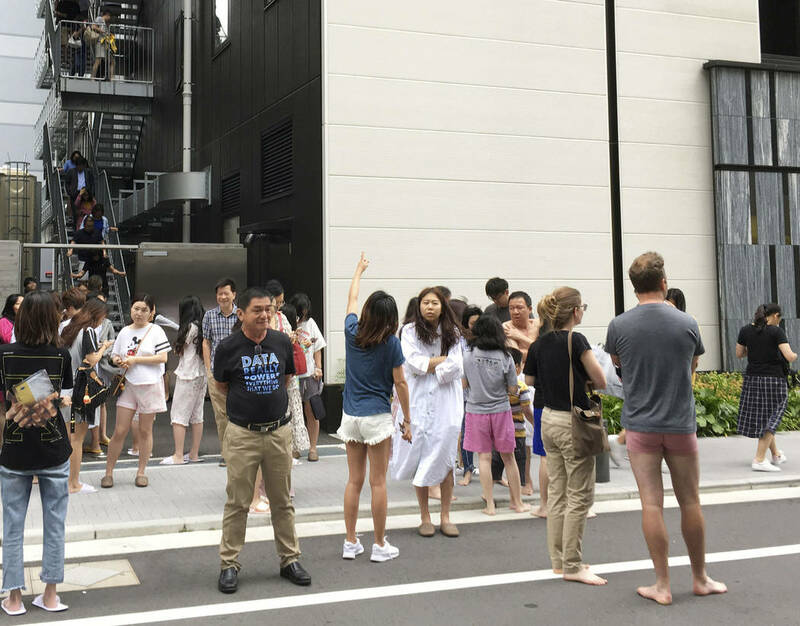 Some commuters took refuge at nearby shelters instead of going home. 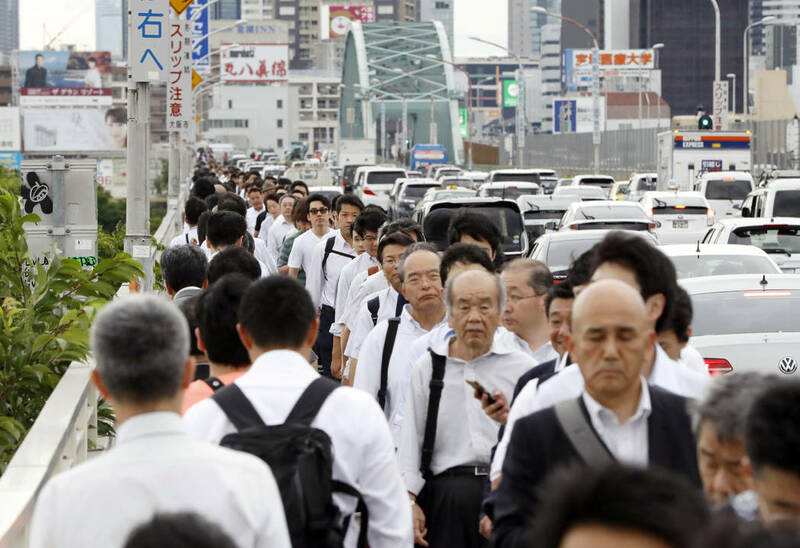 Video on Japan’s NHK public television showed dozens of men wearing ties and carrying briefcases sitting on gym mats at a junior high school gymnasium in Ibaraki city, where some families also gathered. 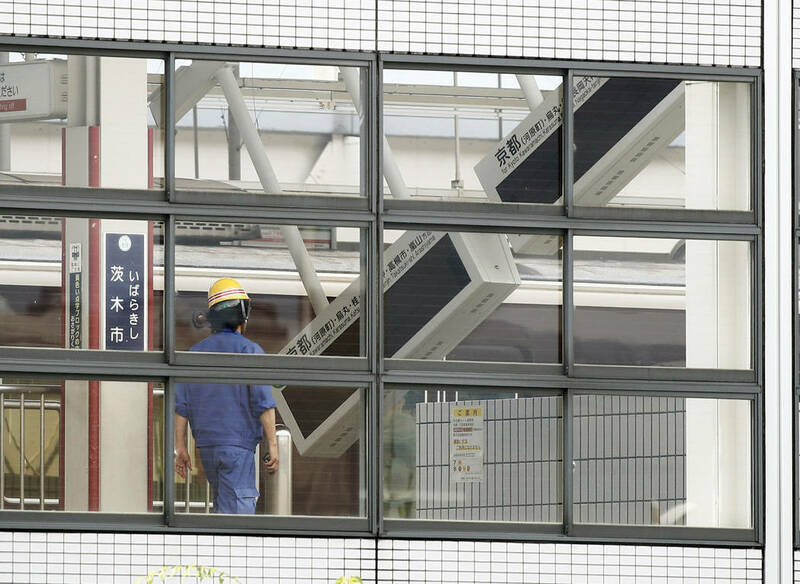 A 9-year-old girl was killed by a falling concrete wall at her school, and the two other fatalities were men in their 80s. 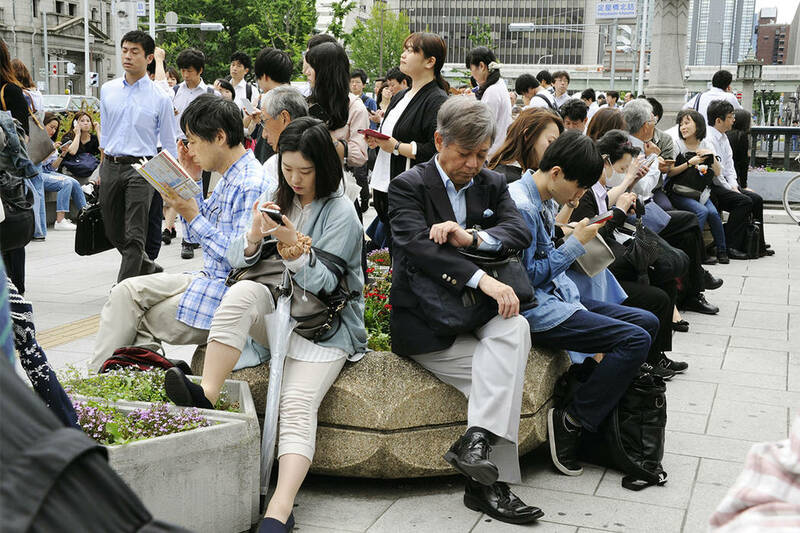 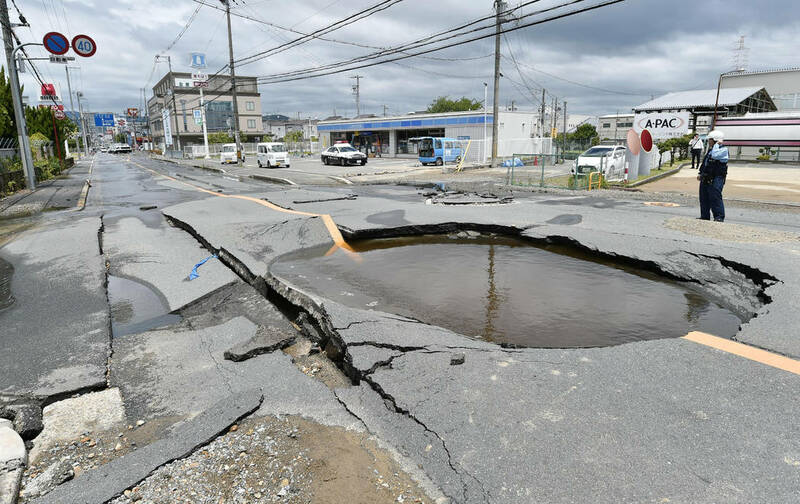 The quake struck shortly after 8 a.m. north of Osaka at a depth of about 13 kilometers (eight miles), the Japan Meteorological Agency said. 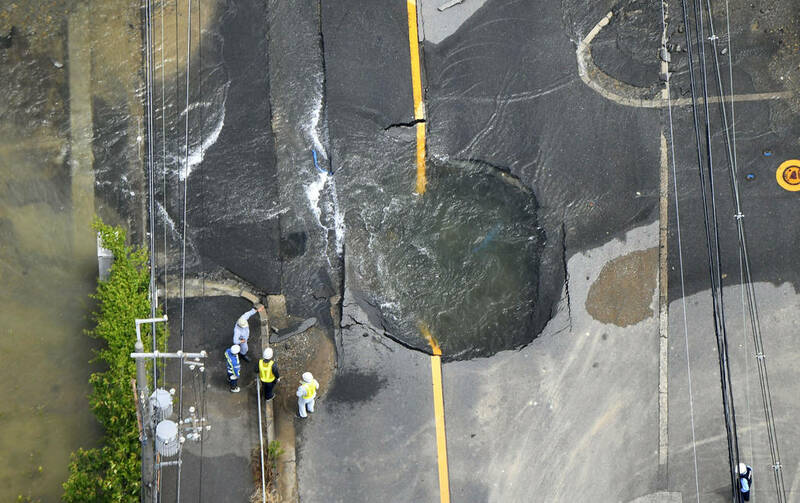 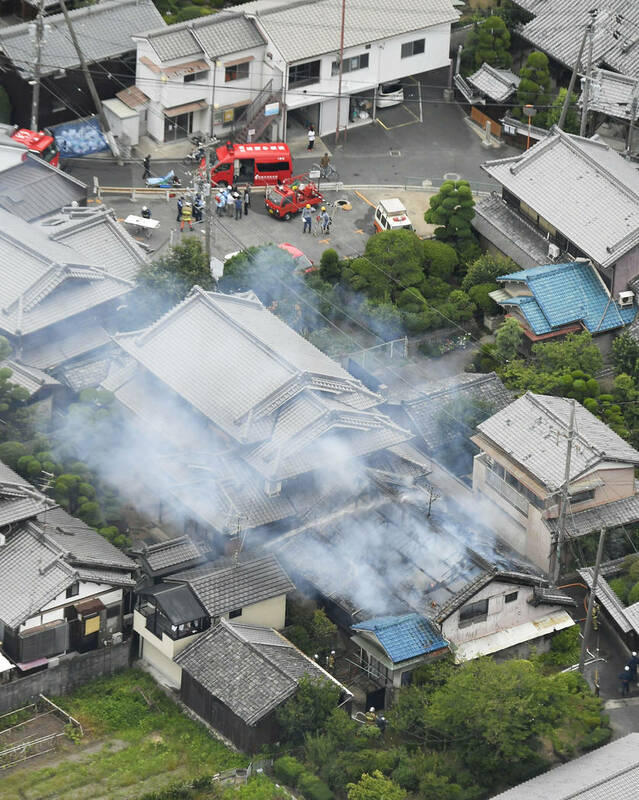 The strongest shaking was north of Osaka, but the quake rattled large parts of western Japan, including Kyoto, the agency said. 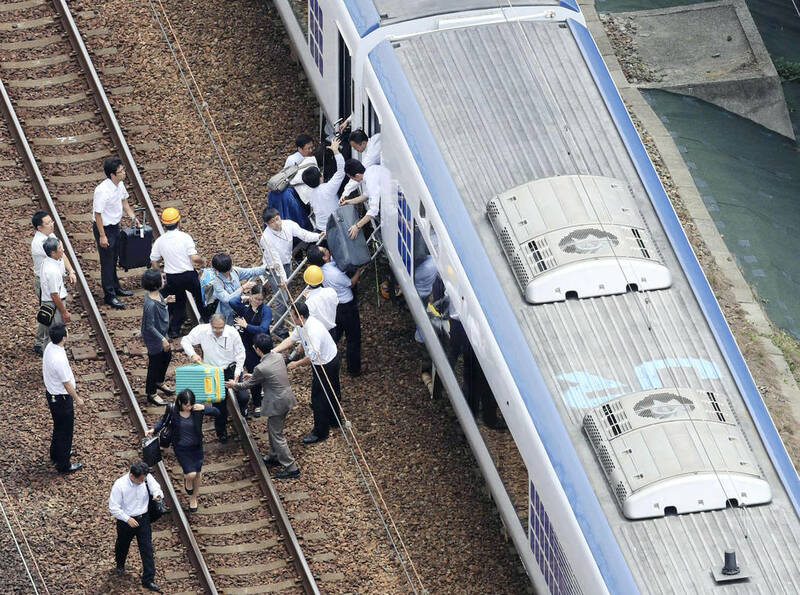 Dozens of domestic flights in and out of Osaka were grounded, while train and subway service in the Osaka area, including bullet trains, were suspended to check for damage. 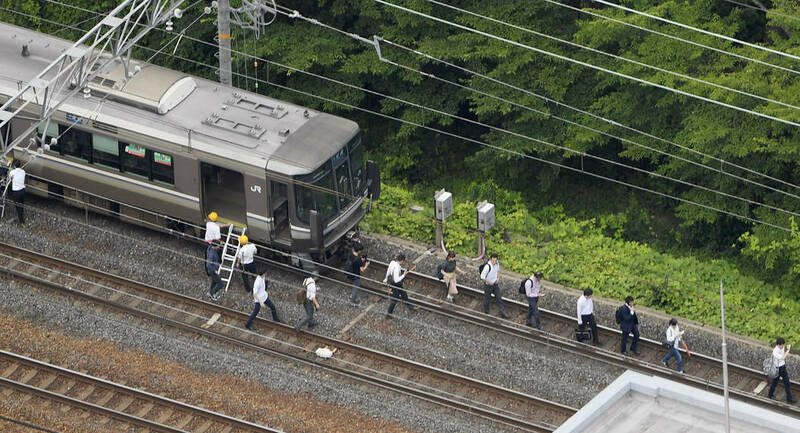 Passengers exited trains on the tracks between stations. 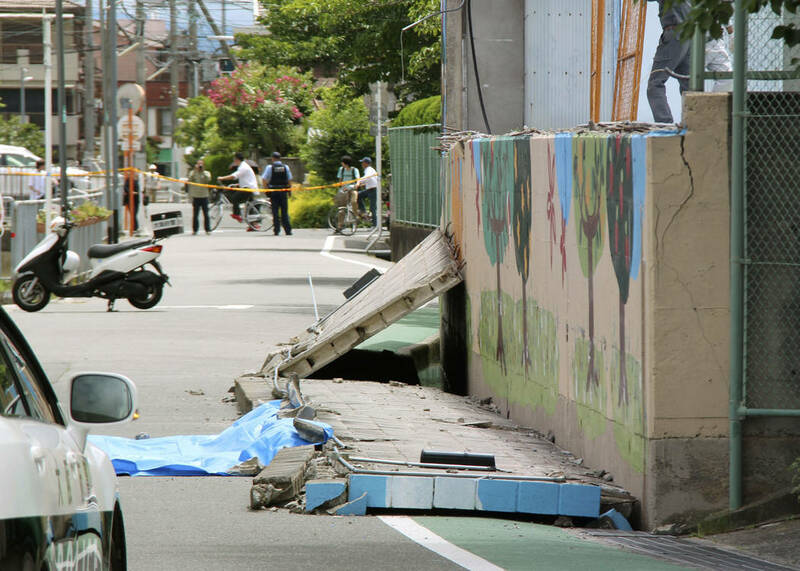 A falling concrete wall knocked down and killed the 9-year-old girl, Rina Miyake, as she walked at her elementary school in Takatsuki. 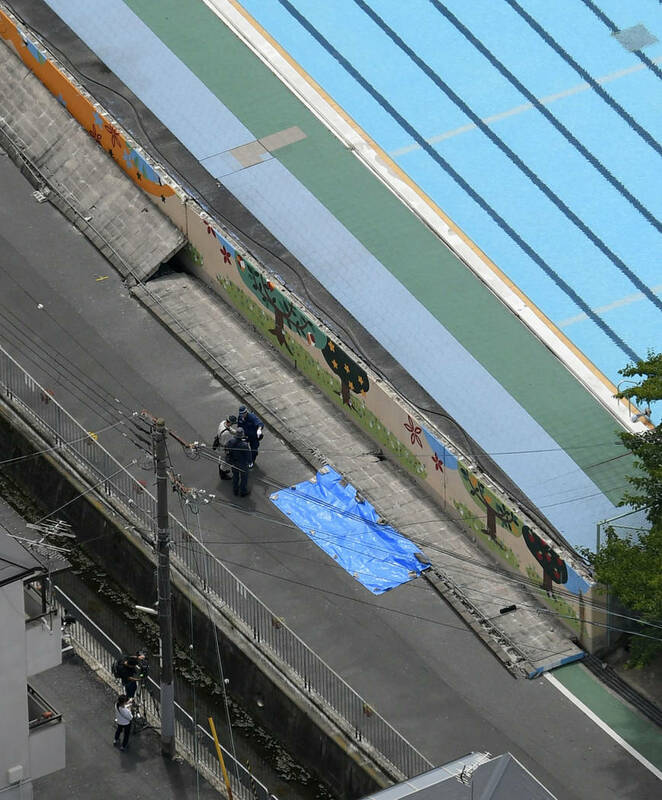 NHK aired video showing the collapsed upper half of the high wall, which was painted cheerfully with trees, flowers and blue sky and surrounded the school swimming pool. 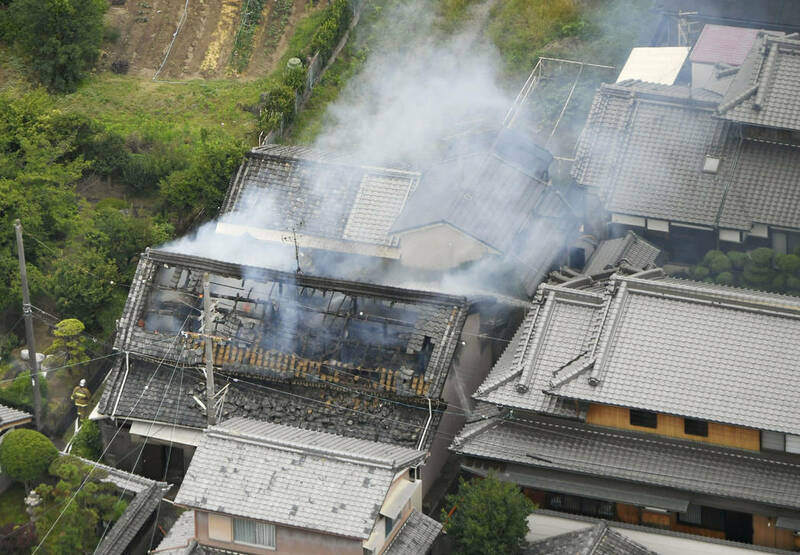 Takatsuki Mayor Takeshi Hamada apologized over her death because of the wall’s collapse. 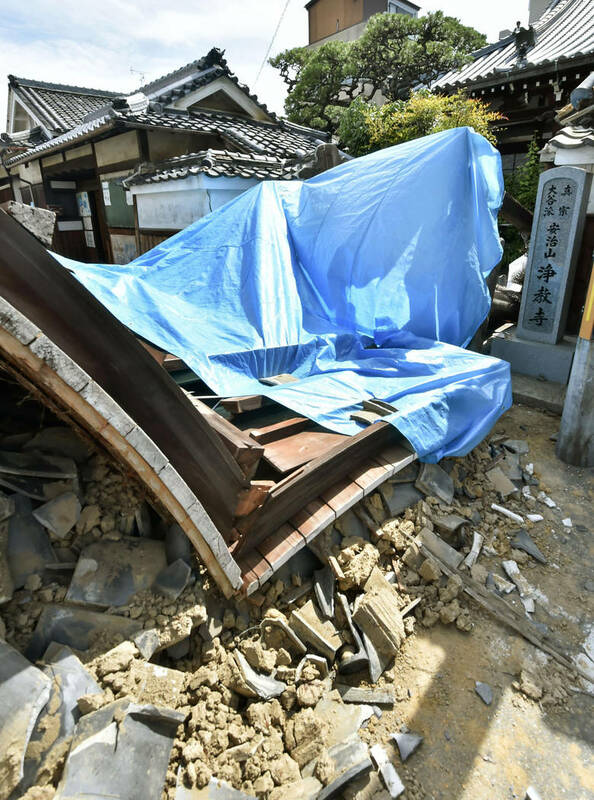 The structure was old and made of concrete blocks — a known risk in earthquakes. 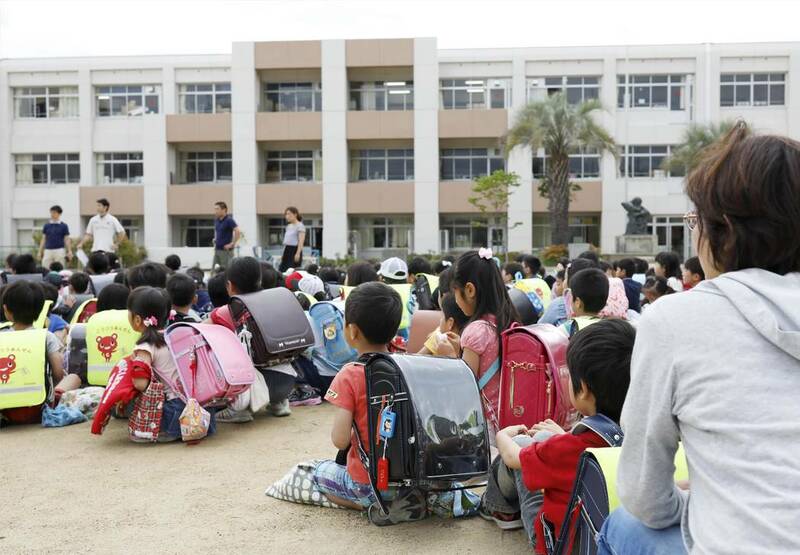 Chief Cabinet Secretary Yoshihide Suga ordered the Education Ministry to conduct nationwide safety checks of concrete block structures at public schools. 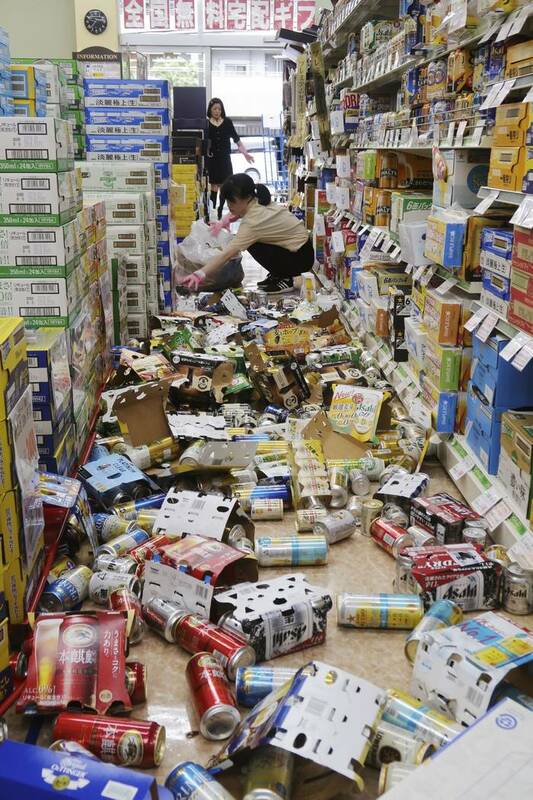 The earthquake reminded many of the magnitude 7.3 Hanshin-Kobe quake in 1995 that killed more than 6,000 people in the region. 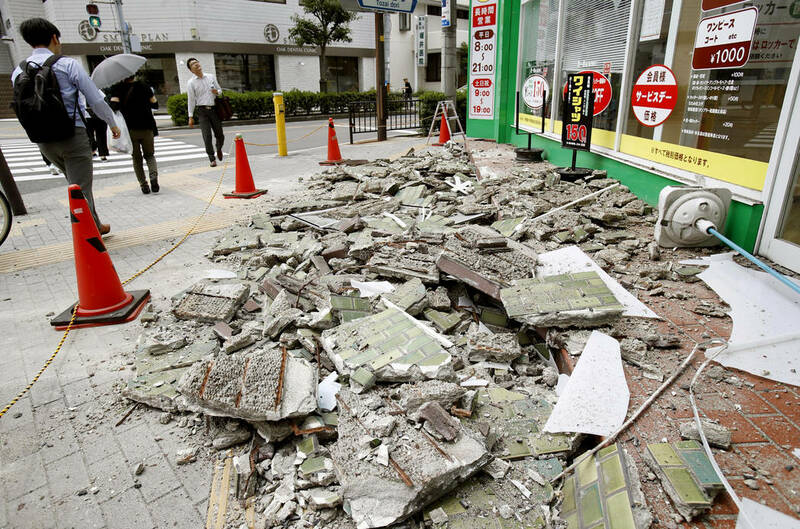 Monday’s quake also followed a series of smaller quakes near Tokyo in recent weeks. 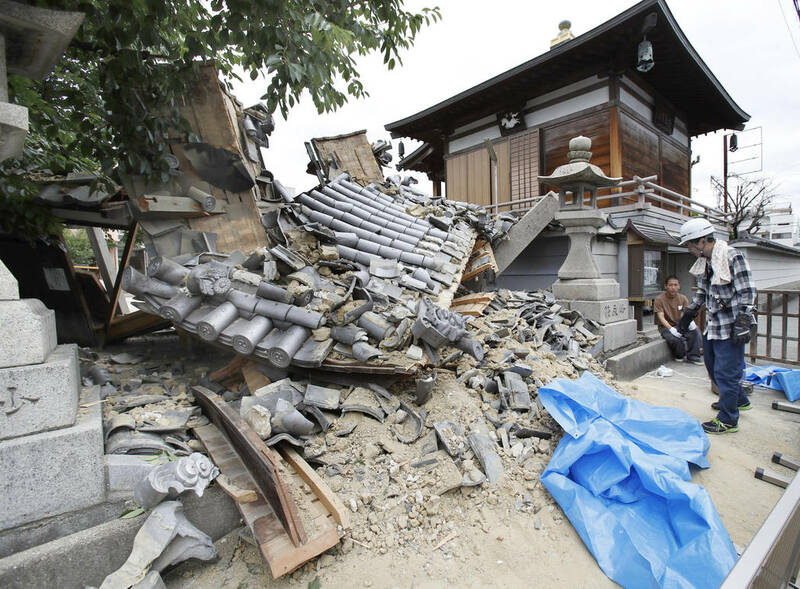 Japan’s northern prefectures are still recovering from the magnitude 9.0 quake and tsunami in 2011 that killed more than 18,000.